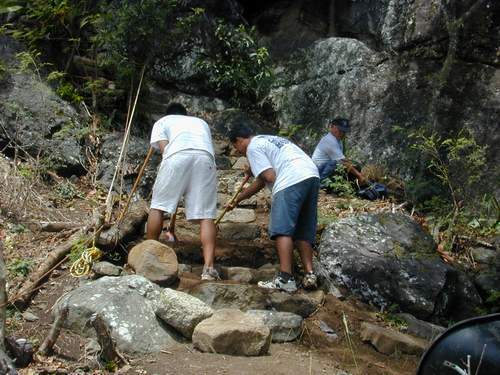 Before entering Nā Pōhaku o Hauwahine, observing protocol begins with visitors chanting the oli kahea. 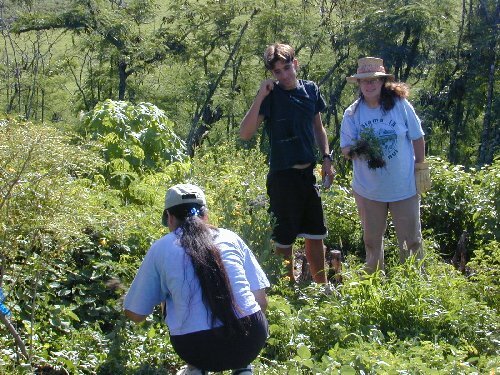 Waimea (‘Ahahui Mālama i ka Lōkahi) showing Kamehameha students where to weed among the native plants. 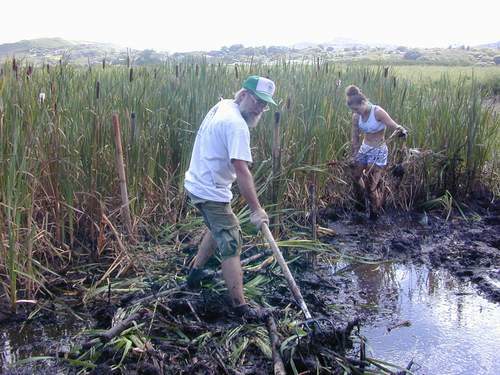 Steve Montgomery (‘Ahahui Mālama i ka Lōkahi) trail-building through the cattails.